Hi, this is Garrett Madison from the Alpine Ascents Mount Vinson Expedition with the Japanese Team. 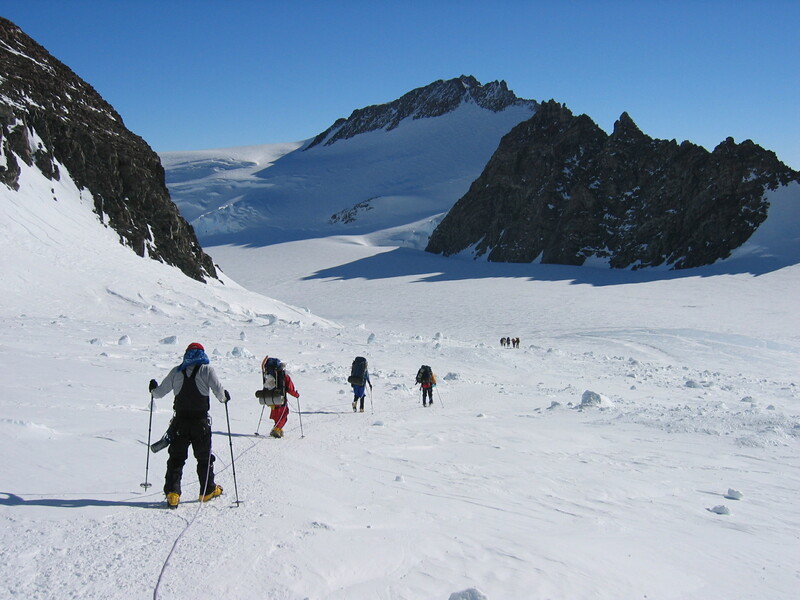 Today is Tuesday, January 7th and we’re back in Base Camp after a great climb to the top of Mount Vinson. Yesterday we had a long day descending all the way from High Camp back down to Base Camp. And got into Base Camp, set up our tents, and cooked dinner, and finally got to bed about 2am. So long day yesterday but everybody’s doing well. We’re really happy to be back in Vinson Base Camp and to be heading towards Union Glacier and on our way home. So we’re just hanging out here and enjoying the nice weather and hoping that the twin otter plane will come pick us up shortly.